CAPS’ parent company, Prudential Agricultural Investments (“PAI”), has a unique platform to serve landowners, family farms, agribusiness firms, investors, and timberland owners. PAI provides our clients with financing options for new acquisitions, developments, expansions, improvements, refinancing, and capital restructuring at competitive rates. 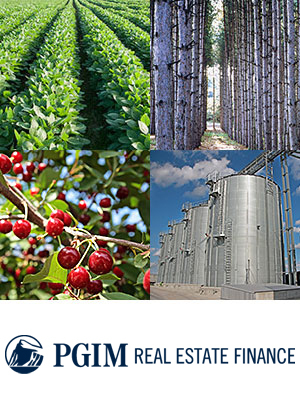 With over 115 years of experience in the agricultural real estate industry, the Agricultural debt team supplies medium to long-term mortgage-based loans for a wide range of agricultural and timberland properties across the U.S. With a portfolio of over $4.5 billion, as of December 31, 2018, we are committed to serving the needs of family farms, ranches, agribusiness and timberland owners. Click below for detailed information on our services.